Wow, I took a nice little break from blogging… almost 2 weeks! I kept meaning to write something but nothing was really gnawing at me… I really enjoyed the holiday weekend last weekend and packed in a lot of family activities. Sharpen your own saw. Been hearing about books from your peers and colleagues? Pick them up and read them. This is a great time to catch up on systems, process, language, and thinking that people in your sphere are talking about. Are there any certifications or courses you need to take? I definitely recommend any of my 29 Pluralsight soft skills courses on things like management, leadership, communication, listening, mentoring, career management, etc. Work on your marketing material. I bet your resume and LinkedIn Profile could use some tender loving care. Read them from various perspectives… a friend who used to proof a sales catalog would read each line backwards… easier to catch mistakes, she said. Read them looking for inconsistent grammar (like periods on some bullet points but not on others, or missing upper-case letters), and read them for flow. Read them to see if the real message you want to get across is clear. Read them looking for vague messaging, etc. Practice your networking pitches and stories at gatherings. Hopefully you’ll be at this party or that dinner, meeting with people you don’t usually meet with. Why not try any of your marketing pitches at those? Really, they should not be so stuffy and robotic that it is uncomfortable to share to close friends and family. You should be practicing these a lot, and these gatherings give you an opportunity to practice with a different audience. Do company research. You may have heard that you should look for “opportunities,” not “jobs.” Now is a great time to read up on companies you would love to work at and current events in their industry. You can read up on their leadership and management teams, and learn about their competition. This is quiet-time stuff that takes time, and doesn’t depend on the schedules of others. Renew relationships. You aren’t the only one with a light schedule… some people will have their calendars quite free, and might be more available for lunches, brunches, or breakfasts than they have been. This could be a great time to reach out to them and get some one-on-one time. Pay attention to your physical health. I know, I know… it’s a hard time considering the ridiculous amount of yummy food… but now is a great time to create physical habits that will pay dividends down the road. Yoga, walking, weights, sports, whatever is right for you, use some of your free time to take care of yourself. I’m sure you can think of other constructive things to do when the world doesn’t seem to have time for you. My point is, taking time off from the job search is NOT the right tactic, even for the next few weeks when people aren’t around much. Find one and you are wealthy (as long as you can get the gold out :p). In LinkedIn there is a section I talk about that I call “the gold vein of LinkedIn.” That is, you are digging around looking for the right contacts… and you can find a lot of relevant people you should reach out to! It’s very cool and really, it’s been right under your nose the whole time. NOTE: LinkedIn has a limit on how many searches you can do per month. It is a ridiculous limit that is simply designed to get you to pay for an upgrade. There’s a super way to get around this loophole… more on that below. This is a list of ten contacts. Some of them are going to be as excellent as first contacts you found. Others will not be relevant (like the last one on that list… a teacher at a school district (fine person, I’m sure, but not a product manager)). I want you to focus on the excellent contacts. The next step is to right-click on each of the highly relevant contacts and open the profile in a new tab. Then, from those pages, do the same thing: look at the People Also Viewed list, open the right contacts in new tabs, and do it again and again and again. If you find the right ones you could easily have dozens of profile pages open at the same time… I’ve found this to be a better way of finding excellent contacts than just relying on the search results. This is the easy part. Seriously, you need to actually reach out to those contacts with the goal of having a conversation with them (not just “connecting” on LinkedIn with them, which too often is just the dead end of networking). So what about that limiting loophole? Instead of searching through LinkedIn, search for LinkedIn profile through Google (or bing or yahoo or whatever you use). While computers are a part of our everyday lives, not everyone wants a career that involves sitting in front of a computer all day. Field force management is certainly showing a trend to computerize and mobilize everything, which can be a true blessing. These sorts of changes are what is driving some to simply look for a hands-on approach. Today, we’ll explore why people don’t want to sit at a computer all day, what kinds of jobs they can do and how to find them. One of the top reasons some people don’t want a computer-based position is fairly simple: they like moving around and interacting with people. Older generations that don’t understand the mechanics of jobs involving a computer are also attracted to positions that both fulfill them and offer a paycheck. Both types of people often don’t like the idea of sitting down all day. They want to be up, moving around and working with others on a more intimate level. Many people state that they feel like their day goes a lot faster if they’re moving and using their hands, rather than sitting down and typing on a computer. Additionally, computer-less positions offer a closer relationship with people. Need to ask the boss a question? You swing by her or his office rather than sending an email. Computers have certainly changed how we interact with people, and a computer-less position brings us back to navigating one-on-one communication again. Some positions also mean you meet new people on the regular, and you get to have amazing connections with all types of people. There are lots of things that one can do to make some money without sitting at a computer all day long. Take a look at your own talents, and what you like to do with your time. You never know what you can turn into work! Regardless of the fact that you don’t want to use a computer much, you may have to use it to find a position that meets your needs. Checking websites like Craigslist and Indeed are popular for locating work. Work boards are also available to join, and look for work that meets your requirements and talent level. Some retail stores and restaurants still post “help wanted” signs, but often require you to login to a website to fill out the application. Can you find a job without the computer? Yes! You can start at your local employment security commission office, and they can help you locate a position if they have it listed in their database. Many temporary workforce agencies have positions that can turn into long-term positions if that’s what you’re looking for. It also helps to network with people, especially if you’re diving into entrepreneurship! Join a local chamber of commerce or a business group to socialize and meet people who might need your help. There’s also the age-old advice of simply asking. If you have that one coffee shop you love to visit every Wednesday morning, ask them if they’re looking for additional help. The worst they can say is “not at this time.” It’ll certainly stand out to them later if they’re looking for help. Yes, it’s possible to enjoy a job without pounding away at a computer keyboard all day. It just takes a little effort and know-how to find the right position. Lindsey Pollak is a Gen Y (Millenial) expert… she recently wrote a great post titled HOW TO GET STARTED ON MY CAREER: 90 TIPS FOR SUCCESS. The 90 tips are a summary of best practices that she has collected over the years… if you are looking to shake up your job search, and wondering what else you could do, check out Lindsey’s post and her book! The only think I’d like to point out is that my advice is to have the wording and messaging on your LinkedIn Profile be different than, but complementary to, your resume. The resume format and wording is pretty standard… strong action verbs that are past tense, short bullet points with plenty of quantifications, generally one or two pages, etc. If I see this during a LinkedIn Profile consultation I always talk about changing it so that it’s a more interesting read, taking advantage of what LinkedIn offers, and more on-message for people reading your Profile (who are not necessarily looking for a resume format). If you have a LinkedIn Profile with better wording, that is more enticing, will that transfer well to a resume? A few years ago I was on a call with a combat veteran talking about my JibberJobber offer of giving a year premium to all veterans (and active duty and military spouses). We’ve been offering this to veterans since 2006, every day of the year. Just email me if you are a veteran, active duty, or a military spouse. If you are in a decision-making or influential position at a company I challenge you to have the right internal discussions to figure out what you can do to help veterans. The challenges are real, as is their appreciation. What can YOU do to help a veteran today (and every day). If I had to choose one thing that job seekers do that are full of friction, I’d guess it is the 30 Second Pitch. Have you ever had to sit through dozens of 30 second pitches? It is painful… close to torture. Maybe I’m exagerrating a little. Just a tiny bit. But really, most 30 second pitches are “off.” They are full of jargon, or cliche, or they are too long, or they are too cute but don’t tell me anything. And when a job seeker shares a weak 30 second pitch they are spewing friction and confusion. They are getting further away from their goal. I know all about friction. For the last almost-12 years I’ve created this little thing called JibberJobber. It seems like 90% of the time we’ve created stuff that is really cool, but too much. Too much = friction. There are so many areas to reduce friction that it’s not that hard to pick one. 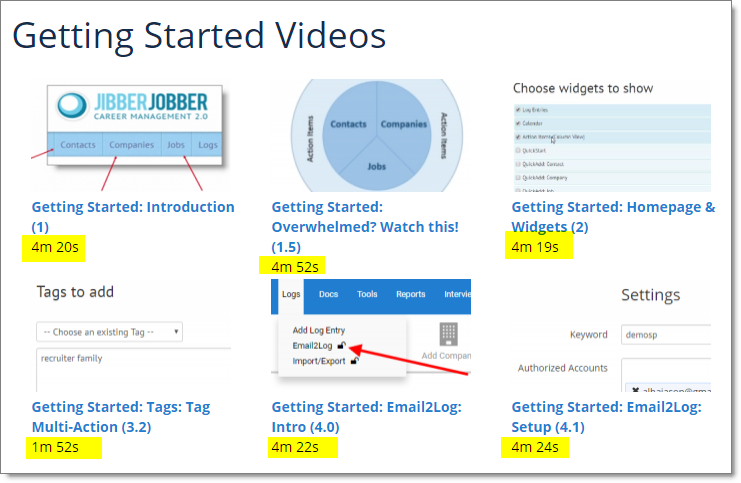 Each of my team is working on their own bites, and recently I’ve found a gold mine of opportunity: cleaning up the Getting Started Videos. I highlighted the length of videos because that is what I’m working on. This all started because a smart user (and Product Manager) Linda emailed asking about a discrepancy in one of my videos… so I went to look at it. To my dismay, I found that at least 60% of the video was garbage. Friction. Babbling. Worse, the video was about 12 minutes long. Here’s what happened: a while back I had a series called “Focus Friday.” This was a Friday morning call I’d do with users where we talked about (focused on) one topic. I recorded those and then chopped them down a little (not enough)… but still, easily 60% was friction. Everyone has friction, and everyone has a story to explain why they do. But the reasons why you have friction don’t matter. What matters is your message… and your message really shouldn’t have friction. I’ve been going through my Getting Started videos, picking out the good stuff, and then re-recording the trainings. Yesterday I took a video down from 14 minutes to 7 minutes… then I chopped more and took that down to about 4 minutes. 4 is a little longer than I want, but it’s a lot better than 14! And, there is no fluff. I’m on a mission to reduce friction, and the pain of having to sit through long training videos. I want you to go on a mission to reduce friction. You have to understand what your message should really be, and then focus in on that. If there are any words that you don’t have to use then eliminate them. Having said all this, my blog post is too long… so I’ll stop here. Please go reduce your friction! Job Search and Recruiter Scams: YUCK! It’s hard enough being a job seeker without having to deal with this junk. His readers mention a few more sleazy scams in the comments. It’s a depressing read, but it’s important that you understand that job seekers are not safe from scammers. From identity theft to opportunists to spread hope when they really have nothing to offer, you need to be careful. What you don’t want is to entertain fishers who are playing the numbers game. These questions help vet them. 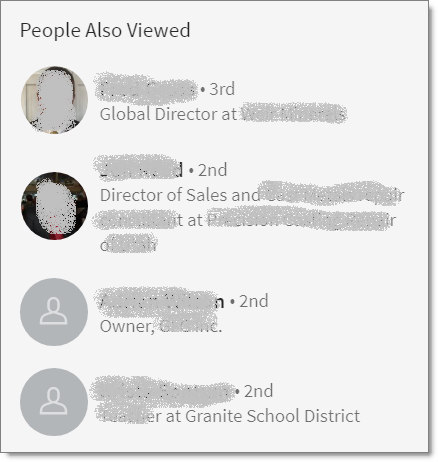 In the comments, Scott says he asks “What do you know about me?” I find this to be a brilliant question as it will show you whether the recruiter reached out to you after a half-second look at your Profile, or because they really know who you are, what you have to offer, and are really interested in you. I’m not saying all recruiters are sleazy, I know plenty that are consummate professionals. But the truth is it doesn’t take much to become a recruiter… I’ve been doing this for almost twelve years now and I’ve seen there is a revolving door for those who can’t do the job. The problem is, the incompetents that Nick talks about are there long enough to give the rest a bad name. Eyes open, be wise, and be careful. Comments Off on Job Search and Recruiter Scams: YUCK! Does the Job Search Have A Secret Menu? Did you know that the restaurants you go to might have secret menus? From In-N-Out to Starbucks, KFC to Panera, and probably dozens more, there are plenty of things available that are not on the menu. I could talk about how this relates to the hidden job market, but you already know about that. I want to talk about something else. First, a story. Years ago we got an ipod. This was back in the olden days, with a simple little screen and a scroll wheel. It was fun to learn how to navigate around the device, but for the life of me I could not figure out how to turn it OFF. There was no power button! Some of you know how to do it… it took me a while (and a google search) to figure it out…. all you do is hold the Play button down for two or three seconds and it will power down. When I learned this I remember thinking “what a stupid way to turn it off.” Seriously, one of the dumbest things I could imagine… take the button that makes all the music come out and if you hold it down long enough, power the device down? Ridiculous. Of course, Apple’s objective was to reduce the number of buttons (for aesthetics and to have less moving devices to build and maintain). And of course, everyone on the planet had figured out how to do it. Apple had a way of making unintuitive things intuitive. There seem to be a lot of secrets to Apple’s interfaces… I’m not in on the secrets, but people figure it out. I’ve seen this in the job search… there seem to be secrets of HOW it works, and a lot of people (me included) have a hard time figuring them out. How do people figure out the secrets? They ask others who have been there. They ask experts. They do a lot of listening and a lot of fumbling around. It’s critical to understand that if things aren’t working then perhaps you aren’t doing the right things… perhaps there are other things you should do. Secret things. Hidden menu things. There are no secrets. There are plenty of books, videos, blog posts, etc. that spill all the beans. All of the secrets are out in the open. Some of the most effective things are… well, hard. How many informational interviews have you done recently? How many will you do in the next couple of weeks? Most people will answer none and none. What is your ratio of phone calls to jobs applied to? I bet it’s super low to super high. Why? Because it’s easier to (excuse my honest) hide behind job boards and applying online than to talk to humans and have the right conversations. The effective job search tactics that are right for one person might not be right for you. We tend to look at what others are doing and want to emulate them… but that might not be the right move for us. Tactics depend on your industry, level, location, network, etc. There are a lot of similarities in tactics but be aware that doing what others do might not get you what you want (that is, a job!). My observation is that too many people are not doing the right (or good) things in their job search. People are anxious to help you. It might not feel like it but people really want to help you…. just ask. But you must be ready to weed out the good help and good suggestions from the bad ones. Why is it that we are so anxious to help others, but when it’s our time to get help we are shy and embarrassed to ask? There is a job search secret menu that is as secret as the restaurant secret menus… just find out where it is and then dig in! Don’t think, though, that the secret menu gets you out of doing hard work. But at least this hard work should get you closer to your next job! 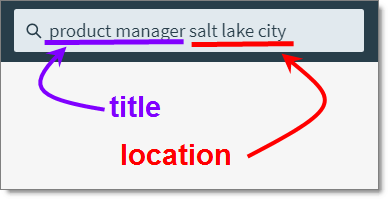 Comments Off on Does the Job Search Have A Secret Menu? What Does It Really Mean To be Overqualified? I was recently talking to someone who is ridiculously overqualified for most of the roles he would find and interview for. He would do very well in any role he applied for, and wanted to work in, but I could tell that he was communicating his brand in a way that he wouldn’t get many chances to interview. When someone says you are overqualified they are could be saying they are convinced that, while convinced you can do the job, they are worried that as soon as you find a better offer, a bigger job, one that is more in-line with your previous titles or capabilities, they will not be able to match it and you’ll be gone. When someone says you are overqualified they are admitting that they don’t need someone that is as good as you are… they can get the job with a junior person. Quality? We’ll worry about that later… we can train the junior person to get the experience and wisdom you’ve earned! When someone says you are overqualified perhaps they are proving that they are incompetent managers who really don’t know how to hire above themselves (even though business experts say that is the best way to grow your business). When someone says you are overqualified they might be saying that you are too expensive. High qualifications can mean you require (or are used to) more compensation. This could be an honest decision based on their inability to pay you what you should make, but it could also mean they don’t understand the complexity of the job, or the potential that doing the job at the level you could do it at could result in great financial gain. When someone says you are overqualified they are saying they just aren’t ready for you, and you need to find a company that is. Think about the job search ecosystem as supply (you) and demand (the hiring company). We think that companies are sophisticated and do the best thing for the company… but that’s not always true. If you are overqualified I suggest you reconsider how you are selling/presenting yourself and figure out how to repackage yourself for the job you want.